HERBS FOR ANXIETY WITH SWEET BEET ACUPUNCTURE — suncollective. Since carrying more herbal remedies and CBD, I have discovered just how many of us are overcome with anxiety, stress, insomnia. I too have felt the wrath the past few months- more than usual. The rat race of NYC is real ( and so are the rats). Heart racing before a big meeting or deadline, waking up in the middle of the night with a list of things to do running through your brain, mind foggy with so much to do and no place to begin. Perhaps some of this anxiety is really deep rooted stress. (see below for a ted talk about making stress your friend) Then there is severe anxiety- the panic attack kind. The scariest kind. If you are suffering from panic attacks- please seek a professional to help you find the proper medical care you need and deserve! There are all kinds of anxieties. Social, separation, phobias…. we each have our triggers and patterns. Recognizing those triggers and using some helpful tools like herbs and services and professional help can help us to cope in better ways. Or maybe it’s just about moving to the country. Either way! Today we have borrowed some content from Jacqueline of Sweet Beet Acupuncture. I love the information Jacqueline provides on her blog and instagram - a mix of eastern medicine, self healing, and spiritual guidance. I am always left inspired and with momentum. Jacqueline is a Acupuncturist, Herbalist, and Holistic Fertility Coach hailing from Los Angeles. I felt inclined to repost her content as I am all about information to gather a better understanding of ourselves and our bodies + minds. I have personally found her suggestions and knowledge useful and inspiring and wanted to share it with you all as well ! If you are based in LA - definitely go see her for a session and to learn more! Without further ado- read below on some herbal remedies for your anxiety. First things first, the quality of the herbs you choose is of the utmost importance. Ideally always shop for organic products and fresh ingredients. Low quality herbs may have little to no effect or in some cases may even make anxiety worse, so always go with trusted brands or work with a licensed herbalist. Just like with pharmaceuticals, there are herbs that have a sedative effect on the nervous system. They calm us down and make us sleepy. In fact, these are most commonly the ones people think of when they think of herbal anxiety and insomnia remedies, such as valerian, passionflower, hops, or poppy. Sedative herbs definitely play a role in herbalism and they are helpful for many people. They're especially helpful during periods of crisis or severe insomnia, or they can also act as quick acting relief during a panic attack or severe anxiety. Keep in mind these herbs have a down-regulating effect in the nervous system, including the brain. Therefore they should never be used in higher than recommended doses, at any point during pregnancy, and in many cases they shouldn't be used long-term. Just like their pharmaceutical counterparts, sedative herbs act like a bandaid for emotional discomfort. Without addressing the underlying condition it's hard to find much relief. Adaptogenic and nervine herbs on the other hand are much better at restoring the nervous and endocrine systems that are strongly effected by stress and anxiety, therefore reducing or reversing the damage done by stress hormones and improving how our bodies respond to stressful situations. These are herbs that actually adapt to what your body needs from them, meaning they adjust their function based on what's going on in the body they land in. Many of these herbs can invigorate energy if you're feeling fatigued, but also calm the nervous system, reduce anxiety, and improve sleep. Several adaptogens also have hormone balancing and immune boosting effects. Eleuthero/Siberian Ginseng: one of my top choices for fatigue and/or insomnia, low immunity, anxiety, and specifically for Adrenal Fatigue. It really focuses on nourishing the Qi (energy) of the body. Compared to some of the adaptogens listed below, this is a really balanced, safe herb that is typically well tolerated by most people, even during pregnancy. Rhodiola: this herb also tonifies Qi, in fact in a lot of ways it's very similar to Eleuthero, however, it may be a bit too invigorating for some people. In fact, it's contraindicated for bipolar disorder and other manic conditions. Astragalus: another Qi tonic that's also great for low energy and low immunity, but it may trigger headaches for some people. It's also not typically an herb I turn to for treating anxiety. Maca: this is considered Peruvian ginseng, so once again a lot of the Qi tonic functions, but many people use maca for it's focus on hormone balance. Some people claim is improves anxiety and irritability, but I don't ever use it for that. Ashwagandha: an Ayurvedic herb that is particularly good for both hormone balance as well as anxiety. 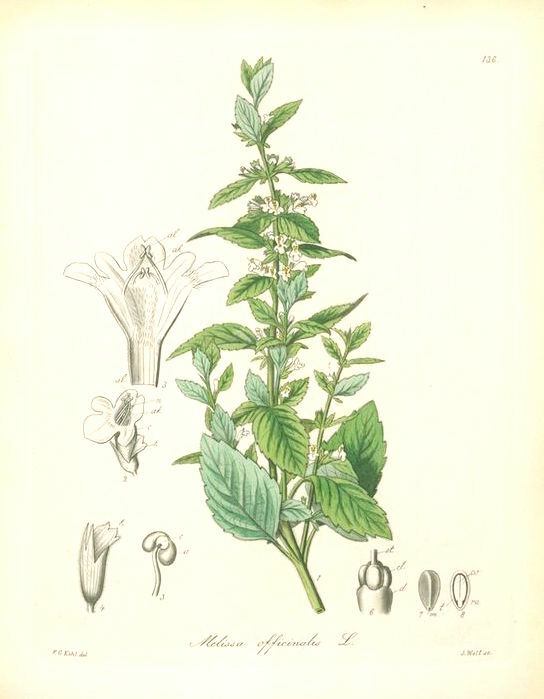 Holy Basil: another Ayurvedic herb that is often used for anxiety, it's also a culinary spice that has a lovely peppery basil taste. My Adaptogen Alchemy herbal tincture contains Eleuthero, Ashwagandha, and Holy Basil, a grounding daily blend for battling anxiety. As their name implies, these herbs have an effect on the nervous system, particularly by calming and restoring it after periods of stress or trauma. Some of them may seem mild and quite innocuous, when in fact they can have a powerful effect on the body, especially when used regularly. Some of the most popular nervines are chamomile, oatstraw, skullcap, and lemon balm, all of which are in my Chill Out Tea blend, which is an excellent cup to enjoy before bed. The nice thing about nervines is they are restorative, so they don't have a strong sedative or invigorating effect. That means you won't necessarily notice a huge difference from just one cup, but if you get in the habit of drinking nervines daily they have an ability to deeply restore the nervous and endocrine systems, improving how the body functions and responds to stress in a cellular level. In other words, they can actually bring a sense of calmness and help to prevent anxiety. Despite being gentle in nature, most nervines are still not really recommended in pregnancy, except for oatstraw, which not only calms the nervous system but also supplies nutrients to the reproductive and digestive systems. Herbal medicine is holistic in every sense of the word, not only are herbal remedies chosen depending on the unique person they are being prescribed to, but especially in Chinese medicine herbs are used together as part of a formula which is constructed to be completely balanced to the body to have the maximum effect. In many cases with anxiety I prefer to use custom classic herbal formulas for my patients that address their specific pattern. In these formulas many of the herbs may not be used specifically for anxiety, but when used together they can address the underlying conditions that are causing the anxiety in the first place. If you would like to work with me to address your anxiety with a customized herbal formula, schedule an appointment or send me a message.